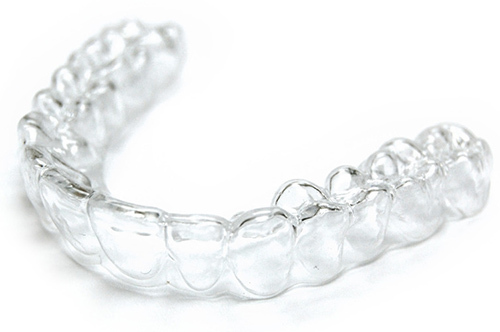 What Does Invisalign Help With? This-26-year old female believed there wasn't enough room within her jaw for all of her teeth to fit normally. Her doctor told her that when left untreated, overly crowded teeth can cause dental decay, and increase in the chances of gum disease, and can prevent the normal function of teeth. She was treated with Invisalign over the course of approximately 10 months. This 27-year-old female was unhappy that her upper and lower jaws seemed to be misaligned. This caused her upper teeth to bite on the inside of her lower teeth, and she could tell it was causing excessive wear. Her doctors told her this issue could also cause gum disease and bone loss. Her Invisalign treatment lasted approximately nine months. 56-year-old male was concerned that his teeth were abnormally spaced and very far apart. His doctor told him that, while this might just seem unattractive, spacing issues in teeth can also cause some periodontal diseases. His Invisalign treatment lasted approximately 10 months. 38-year-old female was concerned that her upper teeth overlapped her lower teeth too much. Not only is this a cosmetic issue, but it can lead to health problems later in life, so she was anxious to get it fixed. She was treated with Invisalign in approximately 20 months.